Picture this scenario--you saw a recipe for salsa and decided to follow it. Alas, you realized that you don’t have guajillo pepper that the recipe calls for. Should you abandon your plans? Or look for other ingredients to be used in lieu of the said spice? Guajillo pepper is slowly gaining popularity worldwide. As the prawn salad, the Mexican cuisine is staple known for its sweet and smoky flavor. But this doesn’t mean you can always find one at your local grocery. Pronounced gwa-HEE-yo, Guajillo peppers are about 2-4 inches long. It has a smooth and reddish skin. It is usually available as dried whole. There are also powdered and even paste Guajillo peppers. However, I don’t really recommend the paste form as this usually contains a lot of preservatives and artificial colorings. It is one of the so-called “Holy Trinity” of Mexican chilies. The others are Ancho peppers and Pasilla peppers. It has a unique fruity or sweet flavor. Its heat rating is considered mild to medium. 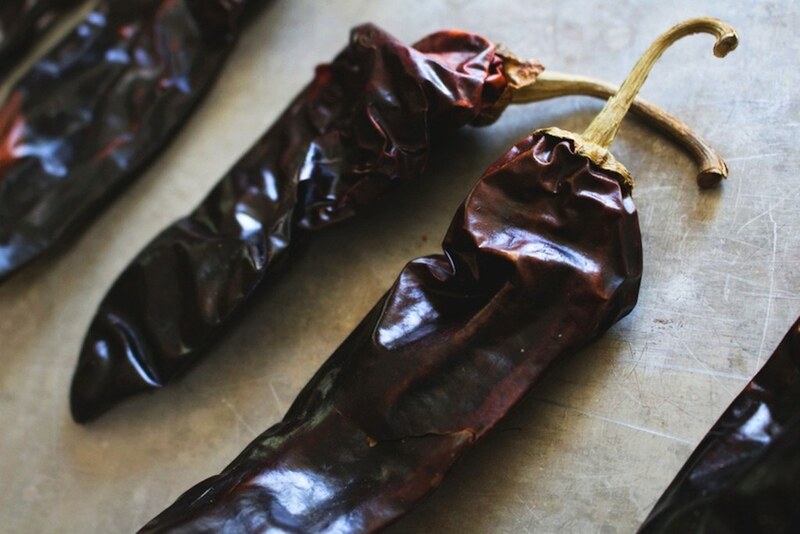 From a scale of 1 to 10 with 10 as the hottest, I would say that Guajillo has a rating of 4. Guajillo pepper is used as a base for salsas and sauces. The seeds, in particular, are used for tamale salsa. Guajillo pepper is used in Mexican dishes like carne adobada, pambazos, and consomes. If you happen to find Guajillo peppers in a local grocery, buy those with smooth and shiny skin. Peppers with pliable skin are also likely to be fresh. Avoid those that are wrinkled and easily crack when bent as these are old and thus doesn’t have the best flavor. Mature Guajillo peppers would yield less than impressive salsa. Most dishes with Guajillo peppers usually require the spice to be toasted. This brings out the richness of the peppers while adding a hint of smoke. You don’t need to spend a lot of time in toasting Guajillo peppers. You just heat a pan to medium hot, then place the chiles and toast them for 20 to 30 seconds. 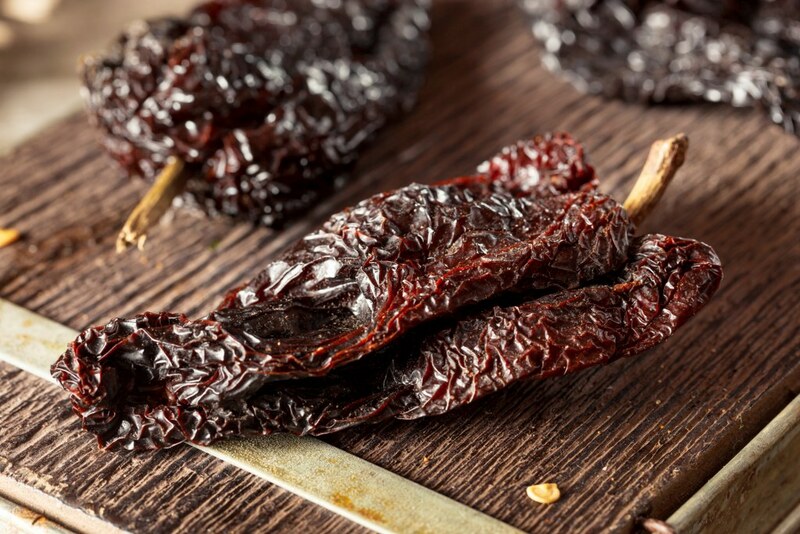 Don’t burn the Guajillo peppers as this can cause them to have an acrid taste. Certain dishes like Enchiladas Portales Style in San Miguel de Allende don’t require toasting the peppers. This is to give the dish a light and fresh taste. As I mentioned earlier, Ancho pepper is a part of the so-called Holy Trinity of Mexican chilies. Thus it is not a shock at all why this is a top substitute for Guajillo pepper. 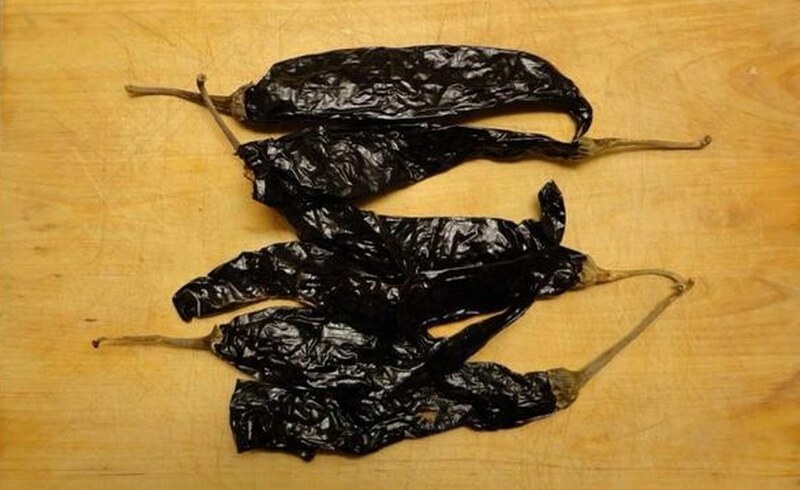 A dry form of poblano pepper, ancho pepper has the same earthiness as that of Guajillo pepper. Yet it isn’t as hot as Guajillo pepper, with an overall heat of 1,000 to 1,500 Scoville heat units. In comparison, Guajillo pepper has 2,500 to 5,000. Ancho peppers are sweeter and meatier than Guajillo peppers. Plus, they’re more widely available than most Mexican spices including Guajillo pepper. 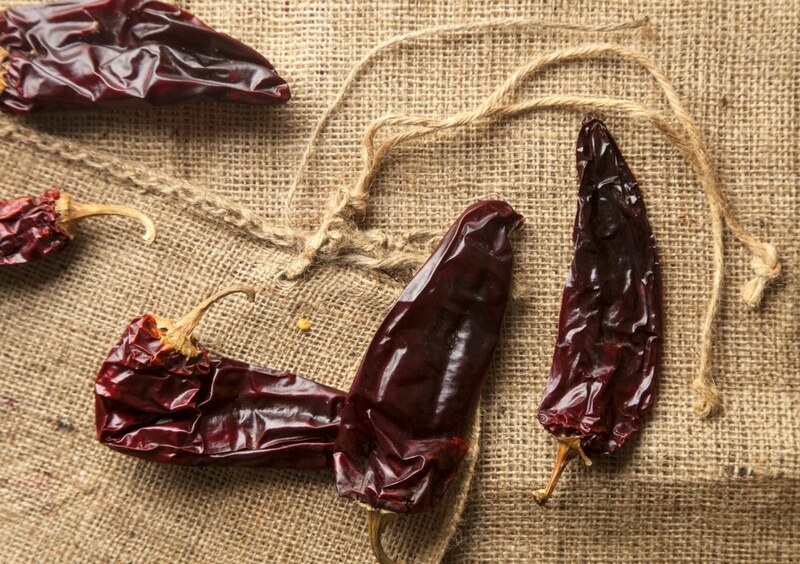 Arguably the closest in flavor to Guajillo pepper is Pasilla peppers. Also part of the “Holy Trinity” it is almost the same as Guajillo pepper in terms of heat ratings. It also has some sweet notes with hints of cocoa and berry. 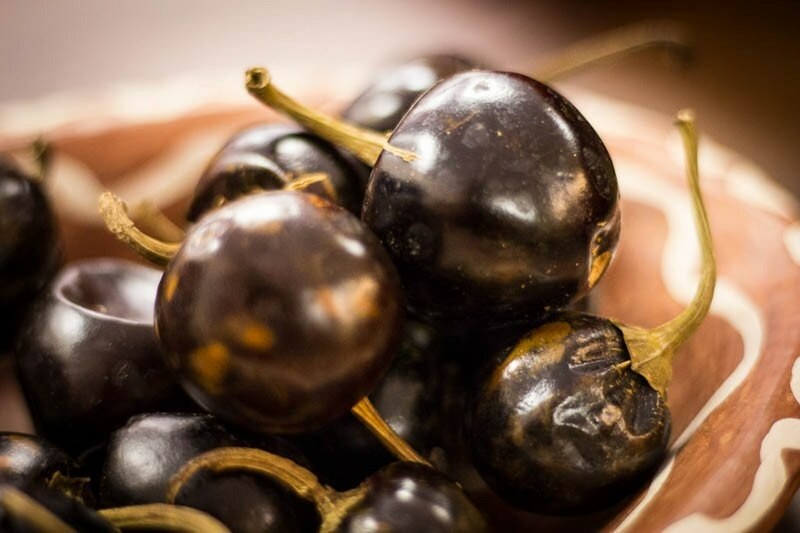 Called “rattle chili” because of the loose seeds rattling in its body, cascabel peppers have a sweet and nutty flavor that can replace the flavor of Guajillo. It isn’t sweet like Guajillo pepper, though. This is one chili that I think you won’t have any problem in finding. 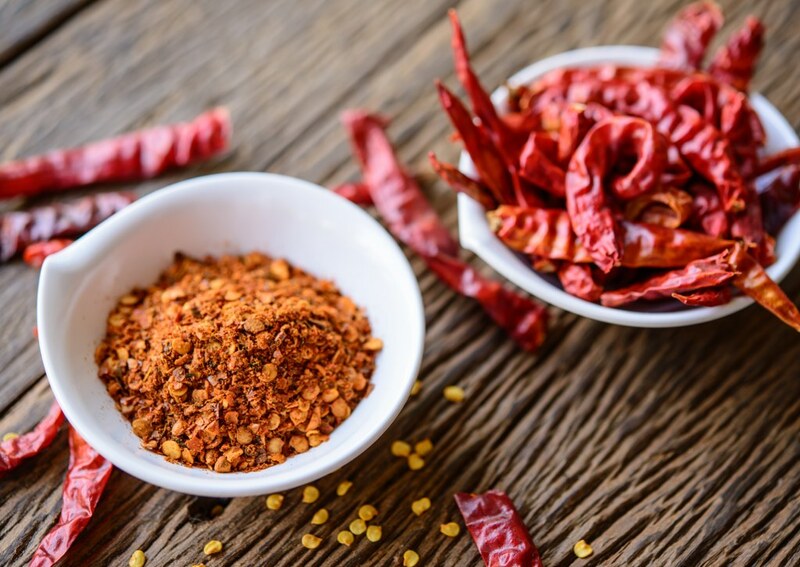 Chili peppers are widely available anywhere, and you don’t have to go to a Mexican store to get one. Moreover, it can match up with Guajilo peppers in terms of heat ratings. While choosing chili peppers, you should look for those with vivid and deep colors. The stem must also be hardy and fresh. There should also be no cracks near the end of the stem. New Mexico chiles aren’t as hot as Guajillo peppers thus this is a good pick if you want your dish not to be that spicy. 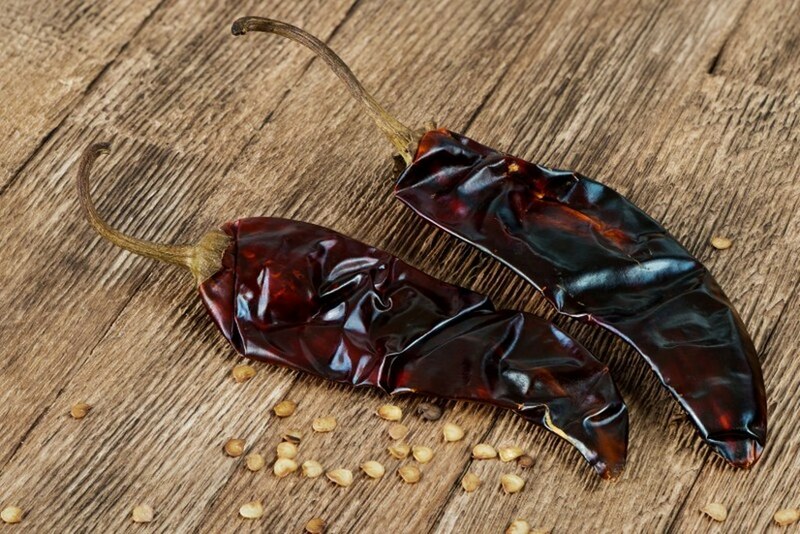 New Mexico chiles are about 1,400 SHU in the heat ratings. But like Guajillo peppers, it has an earthy and sweet flavor. There are also traces of acidity and dried cherry tones in it. 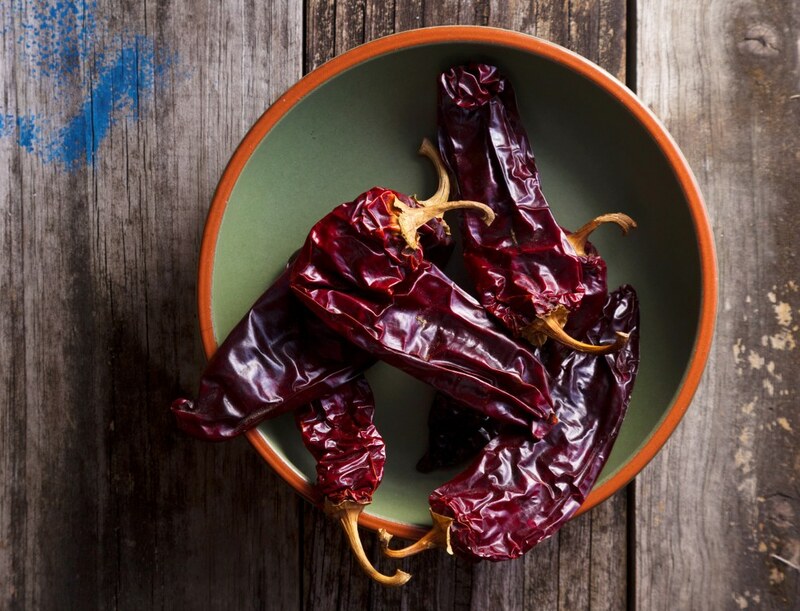 Like Guajillo peppers, New Mexico chiles are usually toasted. Toasting should take about 5-10 minutes in a pan and over medium heat. It can also be directly added to recipes. Guajillo peppers may be one of the three most popular Mexican chiles but this doesn’t mean that it is irreplaceable. 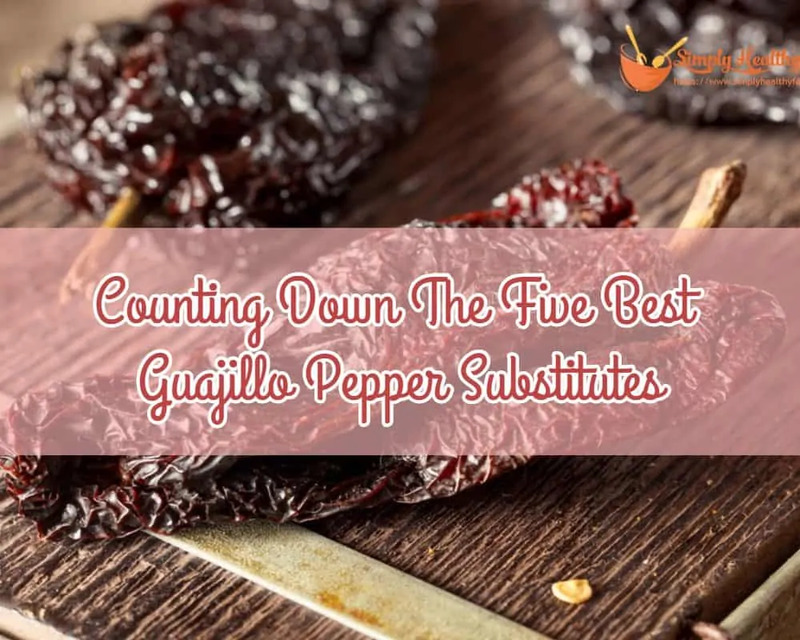 I am confident that you will be able to find any of the five Guajillo pepper substitutes that I recommend in this article.